We’ve all been there – we make something that requires buttermilk and we end up with more than we need. 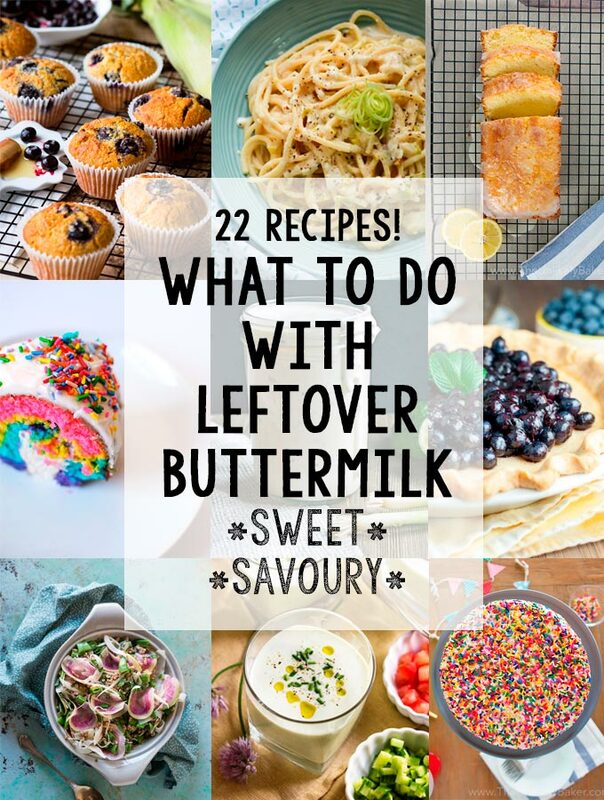 So here’s a delicious collection of 22 ways to use leftover buttermilk that solves all our buttermilk woes. Over time I’ve learned to make my own buttermilk when I know I only need a cup: just mix a cup of milk and a tablespoon of lemon juice, stir then let sit in room temperature for 30 minutes. But this is not for those times. This is for those times when we buy a carton of buttermilk with grand buttermilk plans that just did not happen! So whether you have less than a cup or more than 2 cups left, you’ll find a recipe in here that needs the perfect amount of buttermilk you have on hand. Do you have less than a cup left? Don’t even think about throwing it out! Here are recipes you can use that for. You can make delicious loaves and cakes. 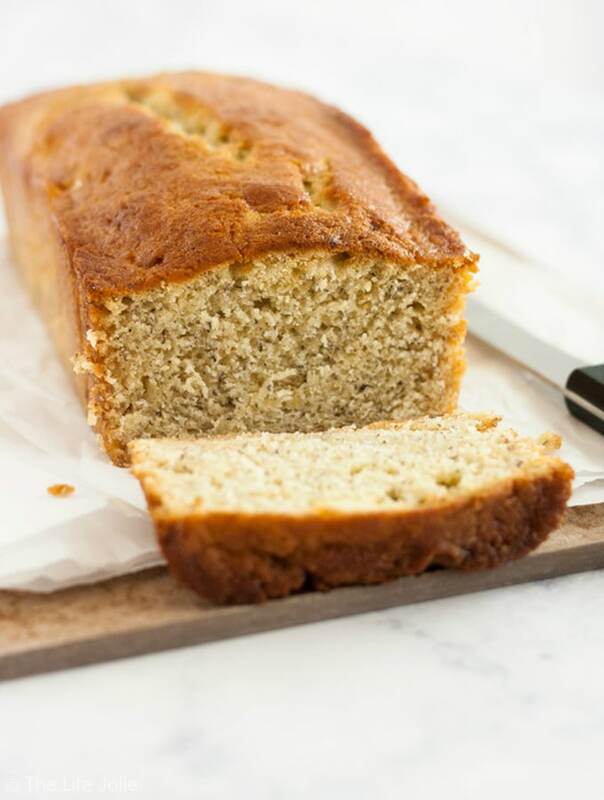 Like this Banana & Cardamom Buttermilk Loaf Cake from Janice at Kitchen Heals Soul. 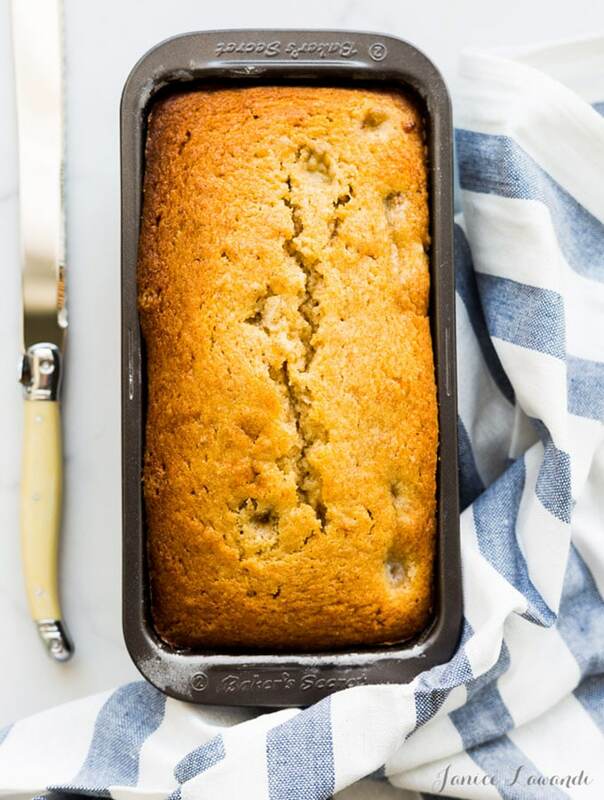 Or this scrumptious Banana Bread from Jessy at The Life Jolie. 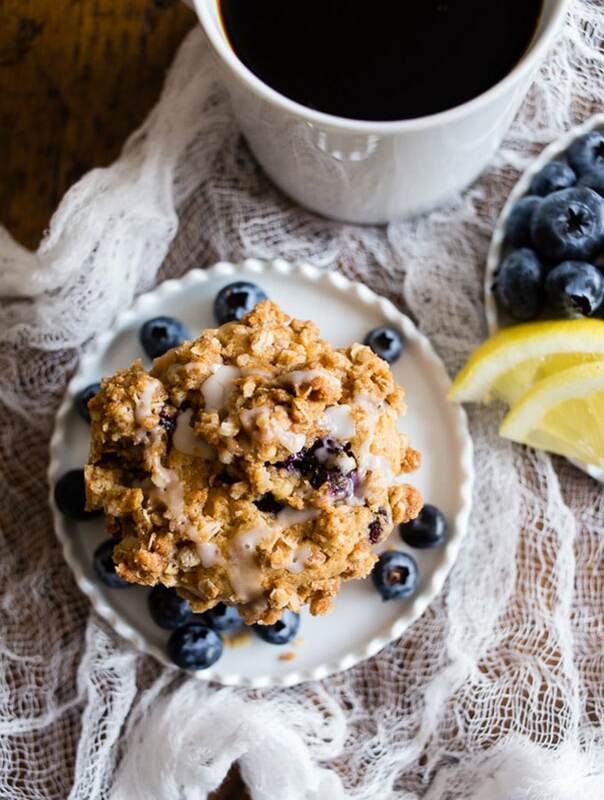 Brandy over at Nutmeg Nanny made these amazing Blueberry Lemon Thyme Muffins. 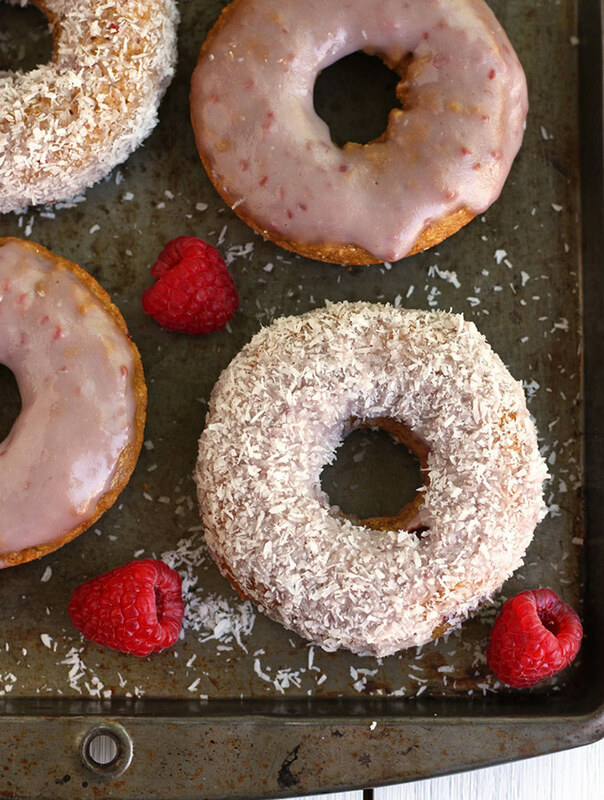 While these lovely Raspberry Coconut Donuts are from Brie at Toaster Oven Love. Looking for something savoury? You can make pasta! 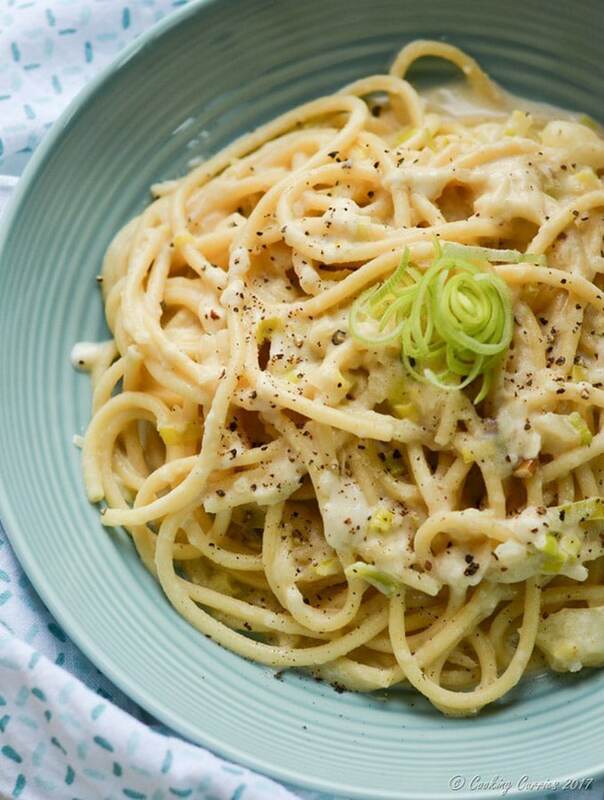 Check out this Potato Leek Bucatini from Manju at Cooking Curries. My husband buys buttermilk for cornbread and I use the leftovers with my sourdough for blueberry pancakes and for English muffins. Cuz I can’t keep up with my starter otherwise, so it helps me use up starter and buttermilk. But I’ve recently given up sugar so I’m head over to look at the ranch dressing right now. I have buttermilk about to expire. Made pancakes this morning and grabbed the wrong bottle. Used the kefir instead of the buttermilk. Duhhh. Read the label Donna. Pancakes were fine but I still have half a bottle of buttermilk to use up. LOL I’m glad your pancakes still turned out ok! The ranch dressing looks amazing doesn’t it? Hope you like it! My default for leftover buttermilk is usually scones or pancakes or waffles. I like how you provided recipes for different quantities of buttermilk. Sometimes I have 1 cup although most of the time more. I have 3 quarters of a carton left now, I hope to make something delicious from your list. I shouldn’t read posts like these first thing in the morning. Makes me want to go grocery shopping and buy it all! These recipes look amazing. Great post Jolina! Waste not, want not, right? I don’t know why they don’t just make buttermilk in smaller containers. There’s always a bunch left, which is why I usually just make my own. 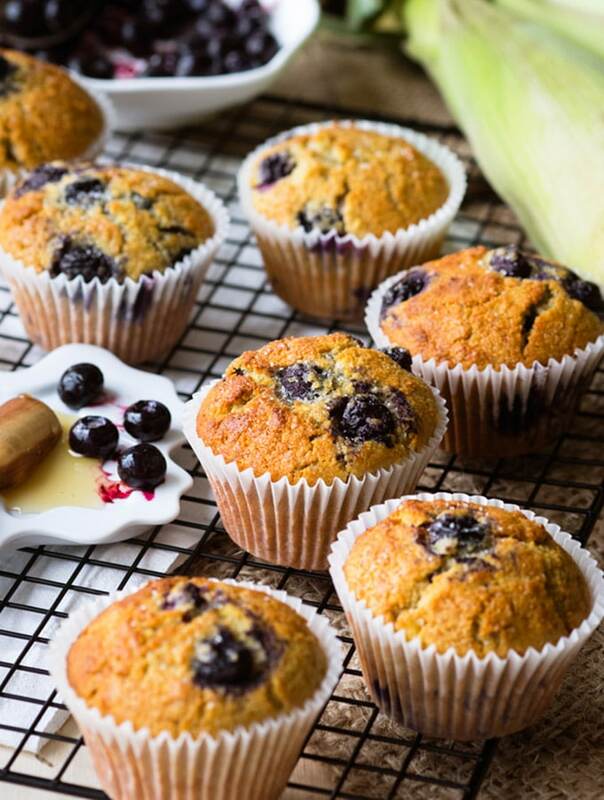 All of these recipes look delicious, though, so if I did have a huge container of buttermilk, I’m sure it would be used up in no time making a few of these 🙂 Hope you guys are having a lovely weekend!! Hi Dawn! Thanks! And yeah, that’s a major pet peeve too. I usually make my own as well if I only need a cup or so but you know I can’t help myself sometimes (sometimes?? understatement of the year lol). Weekend’s winding down…it’s been fun. Hope you enjoyed yours too! Love that you have both sweet and savory on this list! Such a great collection of dishes with buttermilk. Pinning for later! Love, love this article! I need this as I tend to have SO MUCH buttermilk leftover everytime I bake. Thank you so much for sharing! This is brilliant. I never know what to do with leftover buttermilk. Thanks! Me neither and I spend so much time trying to find recipes to use it with. So yay, now we have this round-up for different buttermilk quantities! What a wonderful list, I’m going to bookmark it so read it more carefully later. Thanks! Love this roundup! I don’t really use buttermilk, except in an occasional baked good, and it’s good to know how many different ways I could use up the leftovers. What a great post! Oftentimes I just buy buttermilk for a specific recipe and always end up having some leftover. This is full of great ways to ensure it doesn’t go to waste! These are some great ideas! I love this collection..thanks for sharing! I don’t buy buttermilk often but when I do the remaining portion in the carton goes bad. Looking forward to using up that portion (before it goes bad) with these new recipes. I saw the raspberry coconut donuts and I thought to myself that I wished to have some leftover buttermilk waiting for me in the fridge. 😀 What a useful collection! LOL right?? There’s lots of recipes in here that makes me wish I had buttermilk all the time now. I am always faced with what to do with the leftovers. This is a great roundup. Pinning this for when I need it. I might have to give those Raspberry Coconut donuts a try. Looks delish. I love this post. I did not know there were so many more things to make when you have left over buttermilk. I hate throwing food out so this post is just the right resource for using left over buttermilk. Me neither! I just always thought pancakes haha! I don’t buy buttermilk often, but when I dont always have leftovers! Great tips! I never knew that butter milk can be used in so many ways. Now I’ll try out all the recipes one-by-one. Wow, these are some delicious recipes using leftover buttermilk. I think many will leave some on purpose just to have some on hand to make these. I can’t seem to choose.. they all look delicious! what a great resource. You always have to buy a big carton and then what. Pinning this for later. OMG I should really ban myself from peeking at your blog! So much yumminess here and I can’t even try a recipe (coz you know my stupid diet). Your round ups always too tempting. I am one of those people who will have extra buttermilk at hand.. And I love to use buttermilk in my baked goods. Haha I think I’ll take that as a good sign 🙂 And yes, extra buttermilk is really a baker problem eh? Ooh, these recipes rock. We actually tend to have extra buttermilk too. The Potato Leek Bucatini sounds good. It looks amazing doesn’t it? It’s on our to-do (to-eat??) list now too. These are great ideas! All of them look so good, I’ll have to try some whether I have leftover buttermilk or not! This is genious! I love cooking and baking and always have some butter milk at home. Definitely have to bookmark this 🙂 Thank you! I’ve never actually baked with buttermilk before but now I’m questioning my life choices. Hahaha. Everything looks so moist and delicious! LOL you crack me up Divya! But yeah, buttermilk is lovely in baked goods…or is it buttermilk makes baked goods lovely??? I don’t think I have ever tried buttermilk before. I think I need to get some just so I can try some of these recipes.